Deer Hollow Farm hosts fun events for families, year-round. Admission for all events: $7. Cash, checks or credit cards. Kids under 1 are free! Visit Deer Hollow Farm’s new farm babies. Meet the new lambs and goat kids, as well as the cow, pigs, chickens, rabbits, ducks, goose, sheep and goats. Spend some quality time on one of the last remaining homestead farms in the Bay Area. Walk through century-old farm buildings, a large organic garden and orchard, and learn what daily life was like just 160 years ago, when most Americans lived on homestead farms like Deer Hollow Farm. 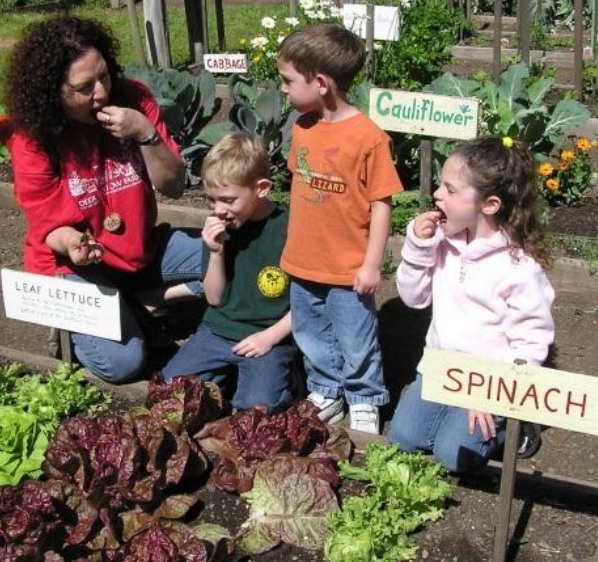 Enjoy the fun, interactive activities and hands-on-learning in the Farm’s Nature Center. Plant a bean to take home and enjoy refreshments in the Hay Barn. 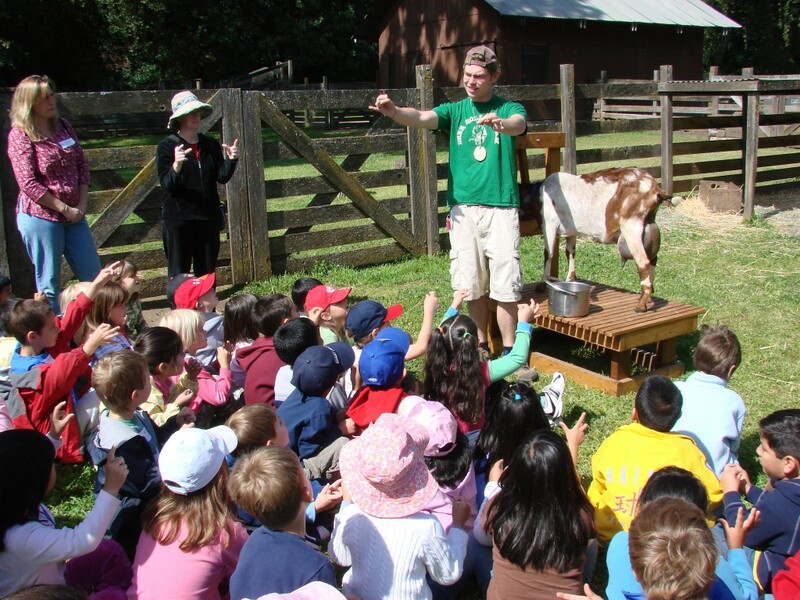 Docents will be stationed in the animal pens, explaining animal care and what life was like on a homestead farm. Note that groups of 20 or more are not permitted. Go here for more information about our Farm Tours. 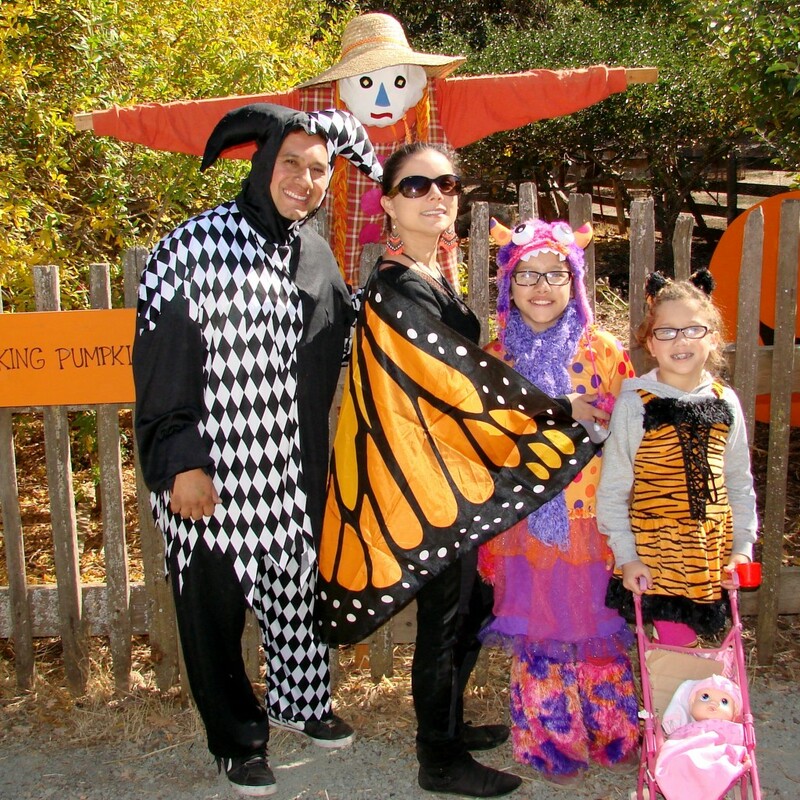 Friends of Deer Hollow Farm’s Ohlone Day is an annual fall festival. It offers a rare chance to spend an afternoon in the Farm’s replica Ohlone Village, which is normally closed to the public. Step into the daily lives of the original Bay Area inhabitants, the Ohlone, who lived here for thousands of years. The underground sweathouse, Tule shade and sleeping structures will be open for exploring. Docents will provide short talks on how the Ohlone lived. Archery and fire-starting demonstrations will be held throughout the afternoon. Go here for more info on Ohlone Day. Deer Hollow Farm invites you to celebrate the spooky spirit of Halloween! nxplore haunted barns, try your hand at children’s activities and crafts and of course, meet the animal residents of the Farm. Enjoy the Halloween season and help support the Farm. As always, all profits go directly to livestock care and feed. Admission is $7. Come in costume, admission is only $5! 1 and under are free. Go here for more info on Spooky Times. A week-long day camp for children ages 6-14, activities include livestock chores, nature hikes, history, arts and crafts. 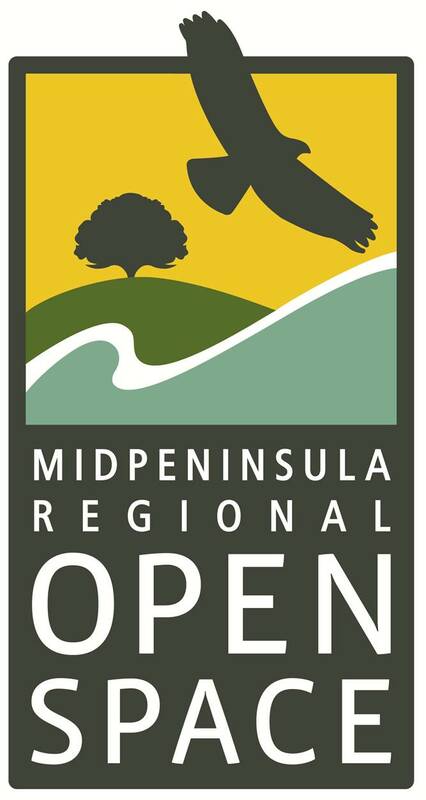 Interested parties can sign up via City of Mountain View Recreation Division. Farm classes support the State curriculum in Science, History and Social Studies, reinforcing with hands-on activity what the students are learning in their schools. 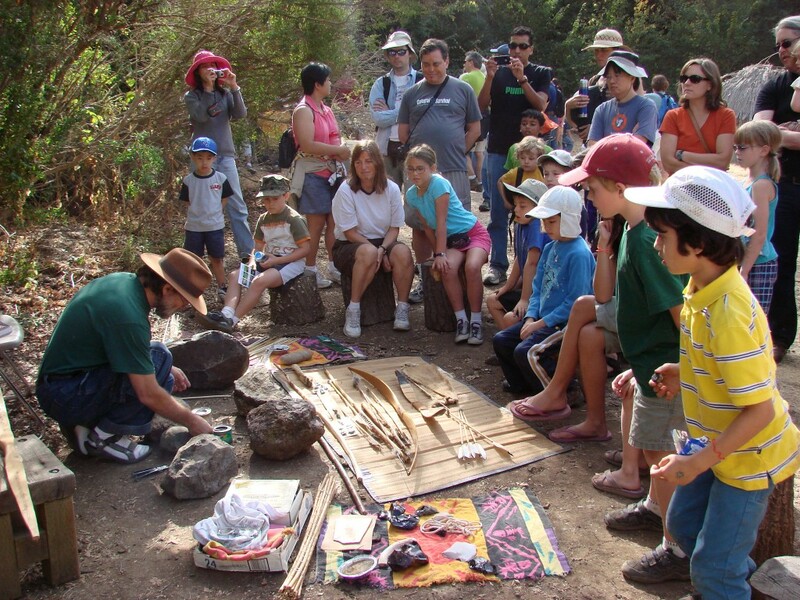 Students learn in small groups with specially trained docents in an outdoor classroom. 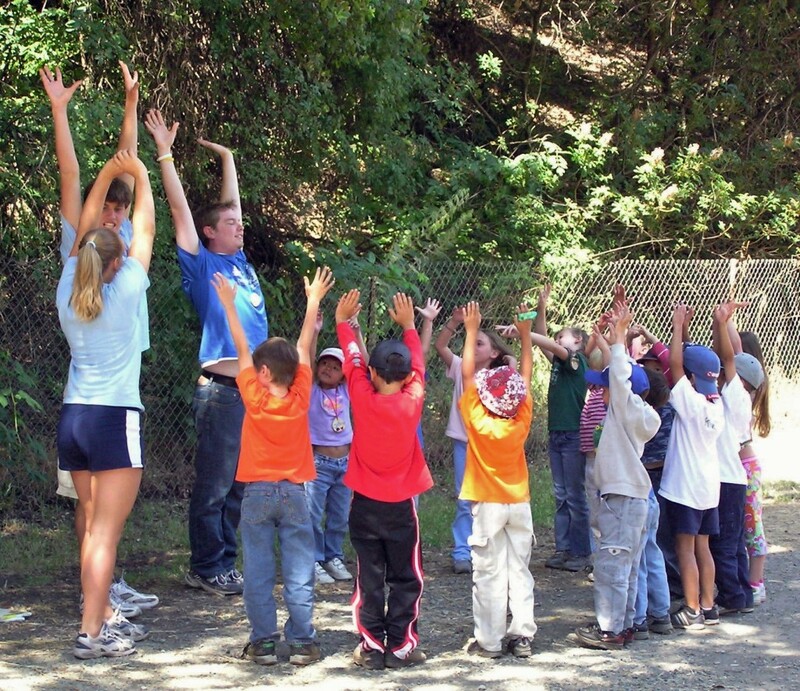 45 schools in 13 San Francisco Bay Area cities participate every year. This program is so popular that every September, teachers compete in a lottery for enrollment in the 200 classes offered. The Farm also has a complete replica of Ohlone Village where students learn about the daily life of the area’s original inhabitants. Students grind acorns, visit an underground sweathouse, play a traditional hoop and spear game. They learn about flintknapping, cooking and fire-starting. Friends of Deer Hollow Farm “FODHF” pays for half the classes, ensuring that schools in poorer neighborhoods can attend the outstanding program. School classes are eligible for scholarships from FODHF if more than one-third of the class or school is on the Federal Lunch Program, an indicator of need. Classes are held September through May.